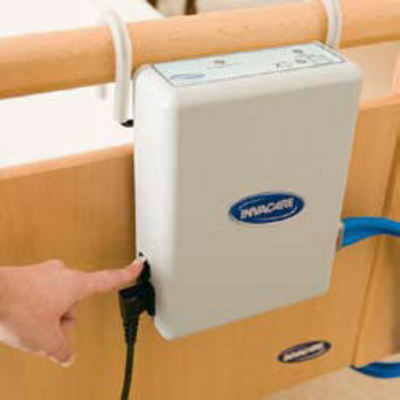 Invacre Softform Premier Active 2 Pressure Mattress. 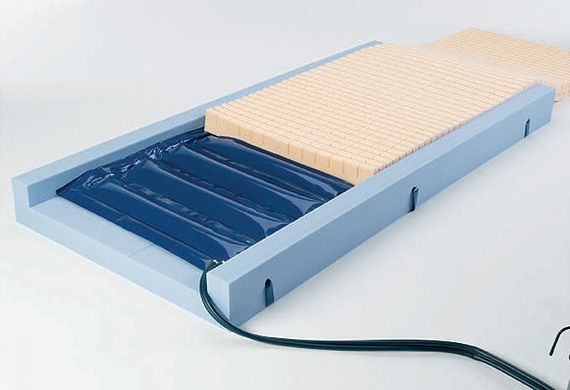 The clinically proven Softform Premier Active mattress is a 'Very High Risk' static surface, but should a patient require stepping up to a dynamic surface, a discreet pump can be fitted to the air insert, transforming the mattress into an alternating surface, delivering additional levels of pressure relief. There is no requirement to transfer the client, thereby minimising any discomfort and reducing manual handling. The ‘Strikethrough Resistant Technology’ in the cover helps juggle the clinical impact with regards to pressure care, infection control with regards to risk of cross infection and the financial impact, including time and resource management. The new cover makes this a clinically effective mattress that is robust enough to withstand the rigourous demands of the 21st century healthcare environment. The mattress is appropriate for patients in Acute, Community and Residential environments. Powered by an innovative digital pump, the air cells within the mattress alternate on a ten minute cycle, delivering a very low impact at the point of change. This significantly enhances patient comfort whilst providing effective pressure relief. The ‘Strikethrough Resistant Technology’ cover is made from a highly chemically resistant polyurethane polymer making it much more resistant to abrasion and damage and also swells less with water contact. When cleaning a cover with ‘Strikethrough Resistant Technology’, the material changes less and thus reverts to its natural state very quickly. The time in which the cover is more prone to physical damage is significantly reduced. The cover material still incorporates the key features required in a mattress cover. It is multi stretch, breathable and waterproof with corner welds, reducing the opportunity for accumulation of dust and liquid residues. 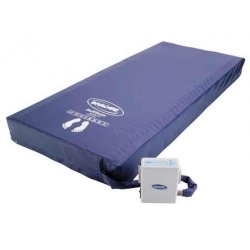 This Invacare Softform Premier Active 2 Pressure Mattress comes with a Waterlow Scoring of 20+, this scoring means the mattress is suitable for individuals who are at a Very High Risk of developing pressure ulcers. The scoring is dependant on an individual risk assessment.